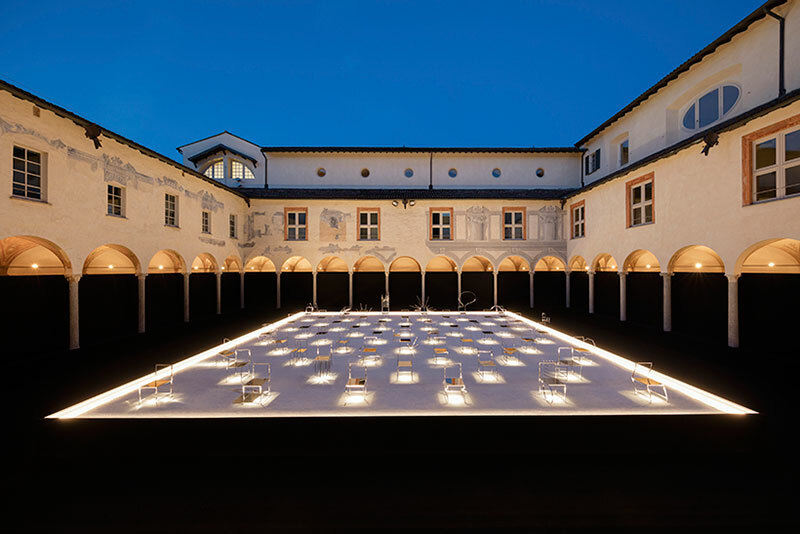 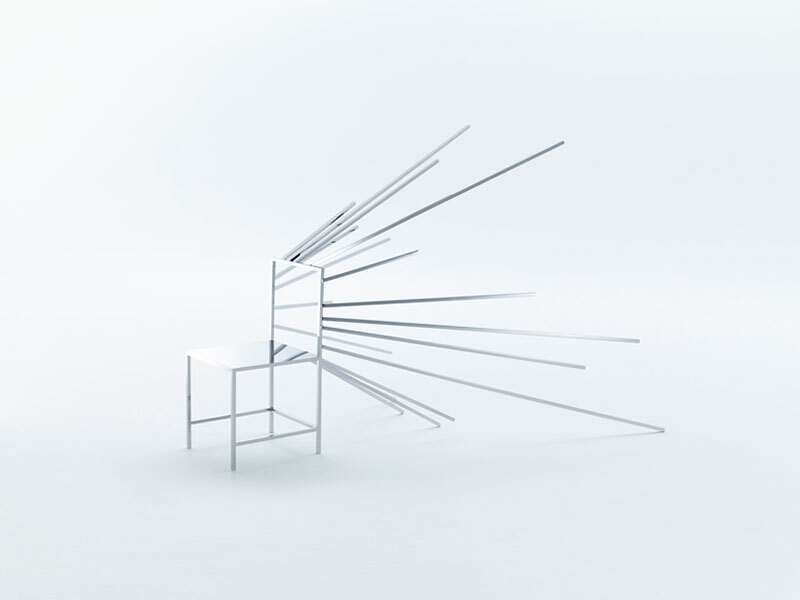 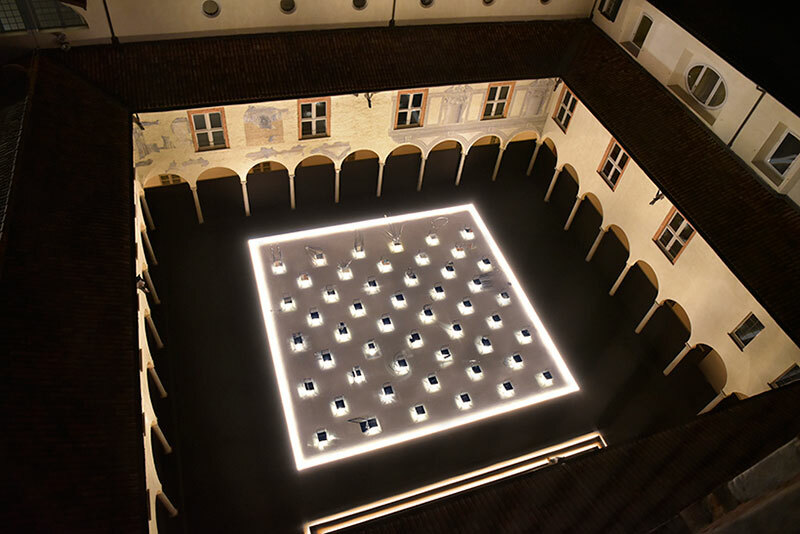 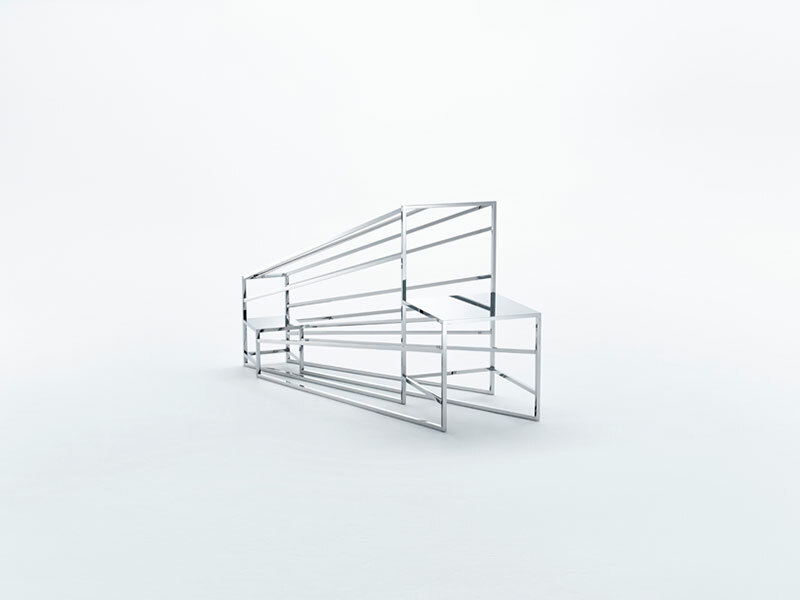 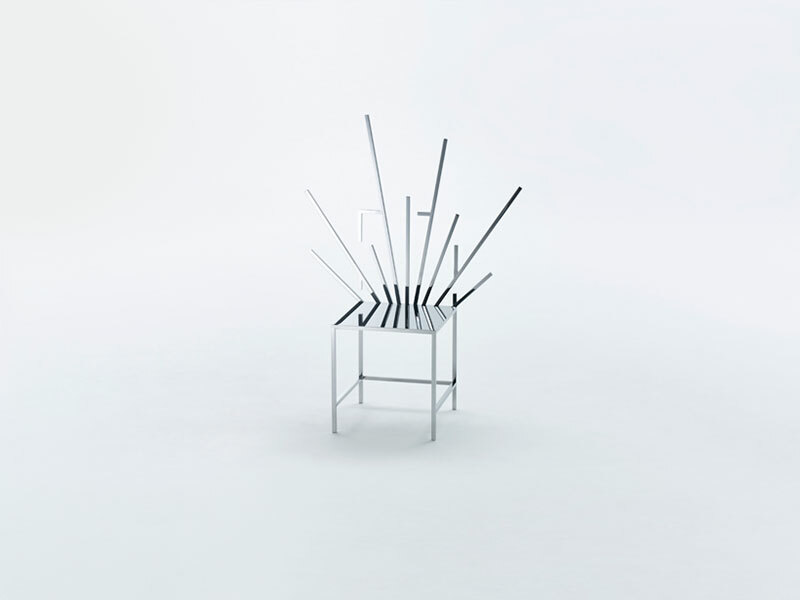 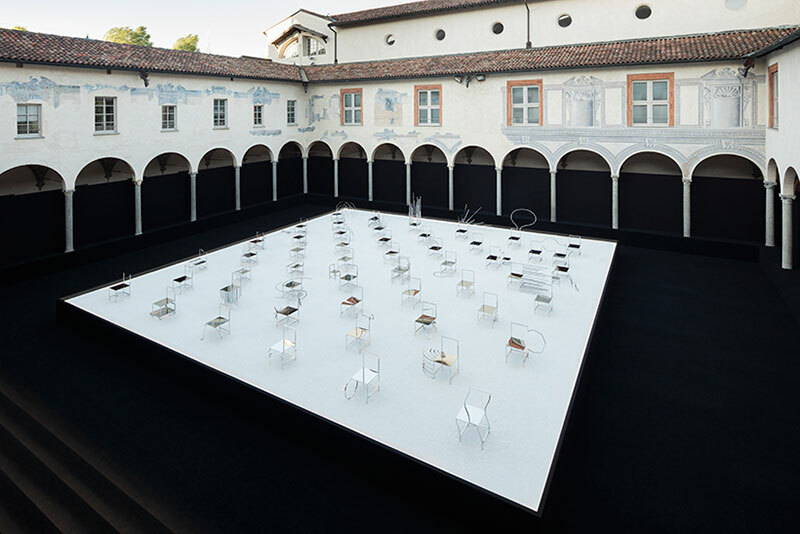 An installation consisting of 50 manga chairs designed by Nendo for Friedman Benda during the 2016 Milan Design Fair. 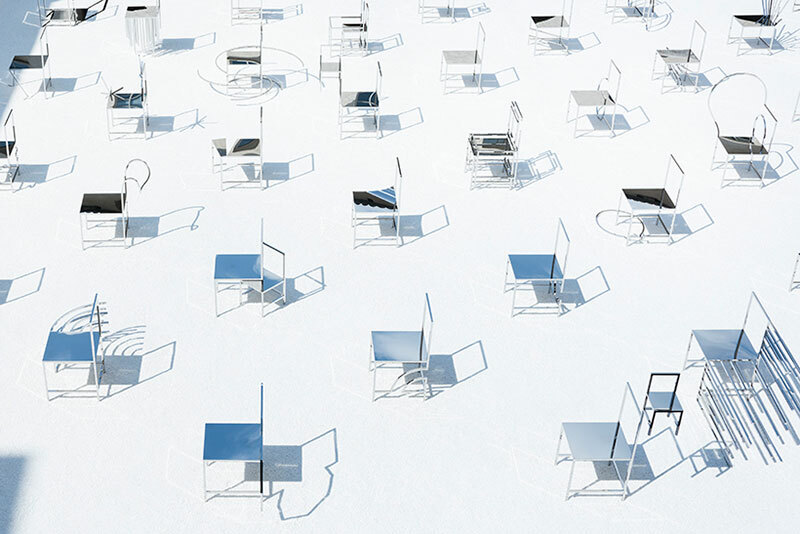 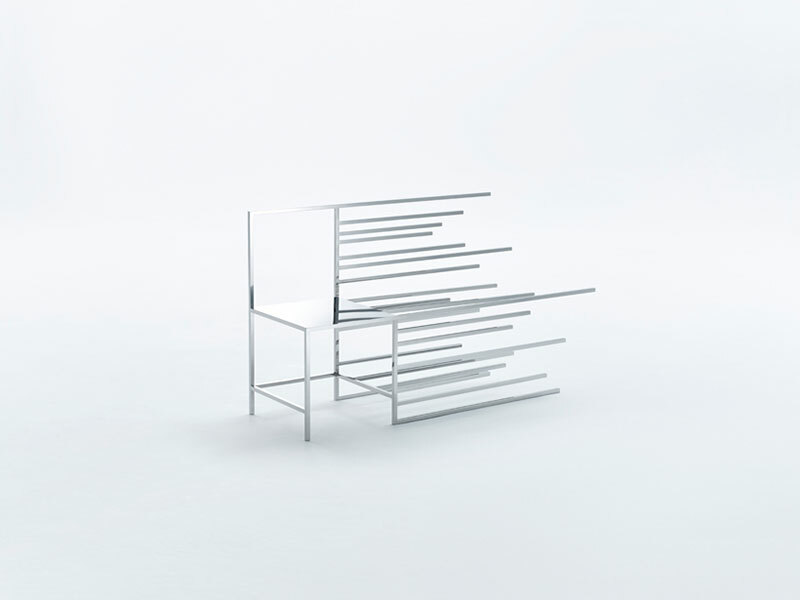 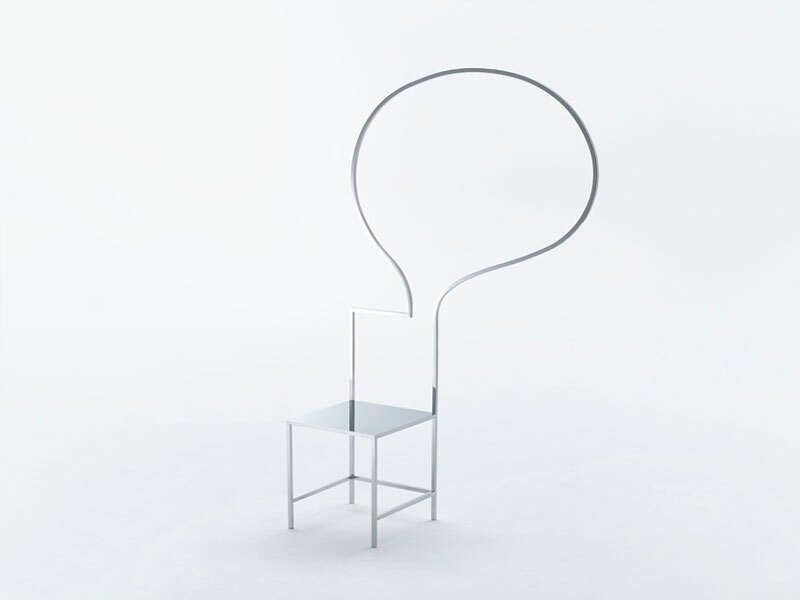 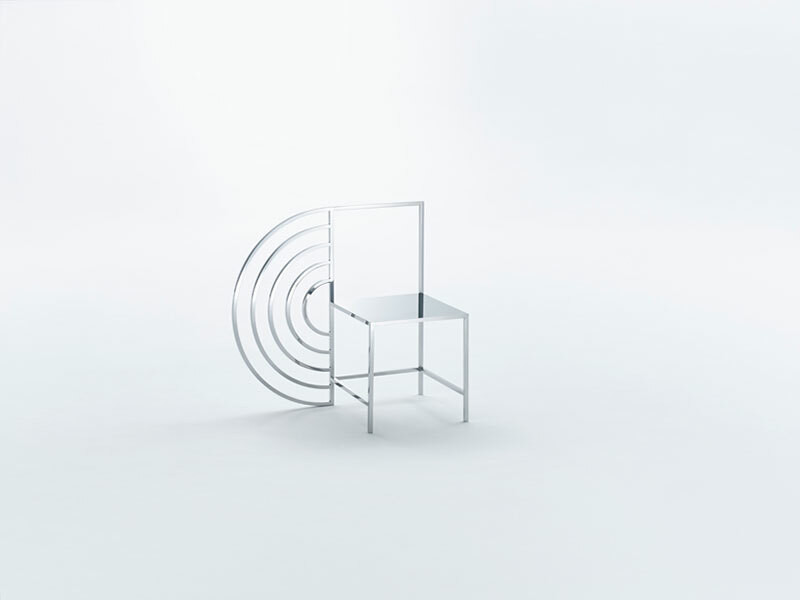 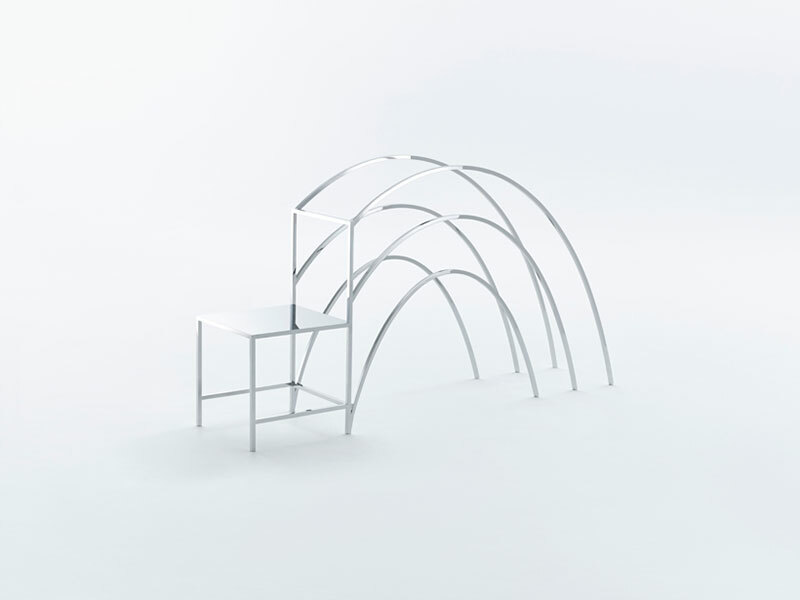 Inspired by Japanese manga comics, the chairs are lined up in a grid with each chair having a design element such as a speech bubble, effect line, or emotional symbol to visualize an action or sound so that a sense of story and character can be felt. 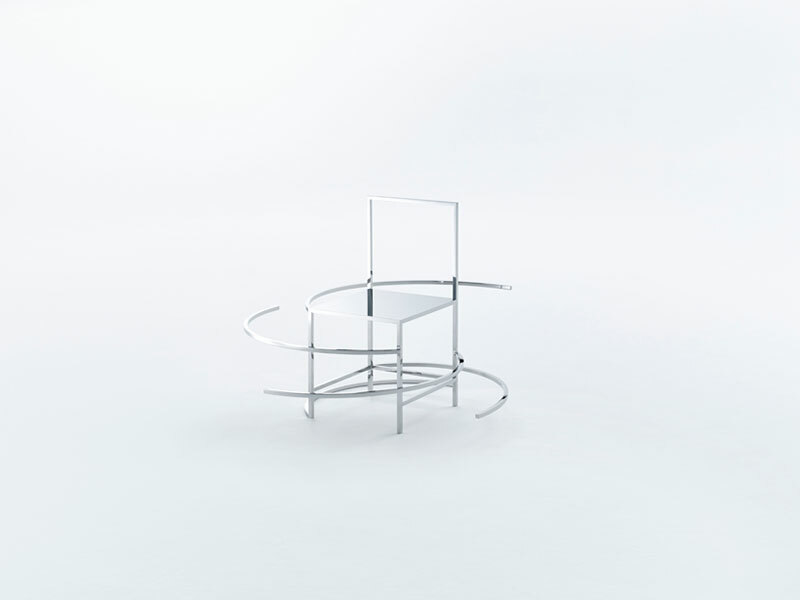 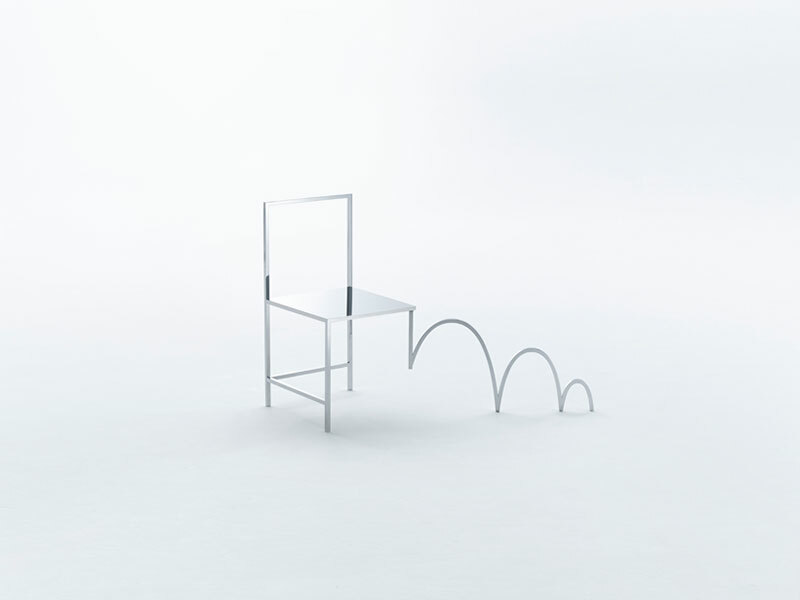 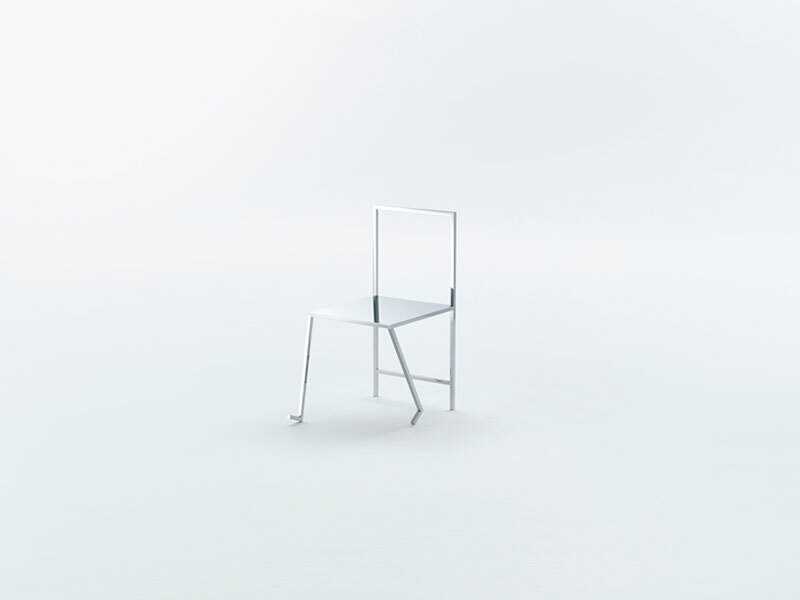 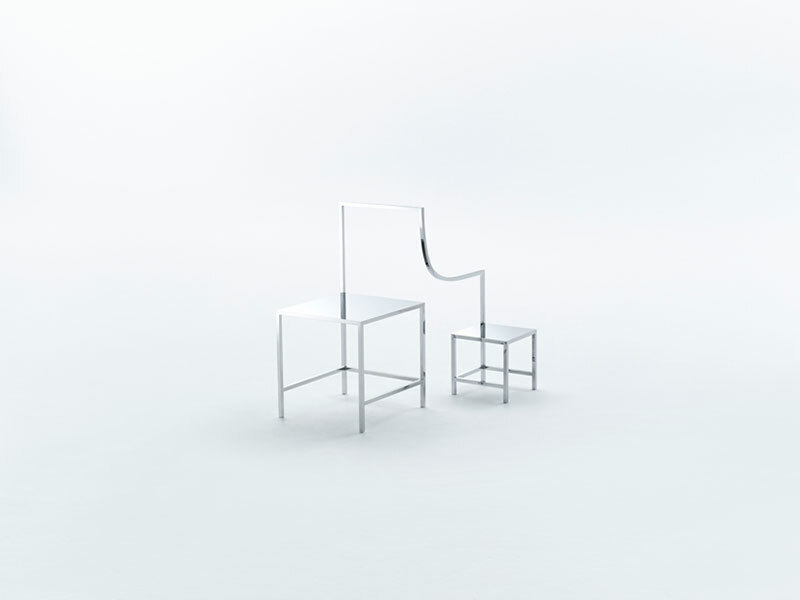 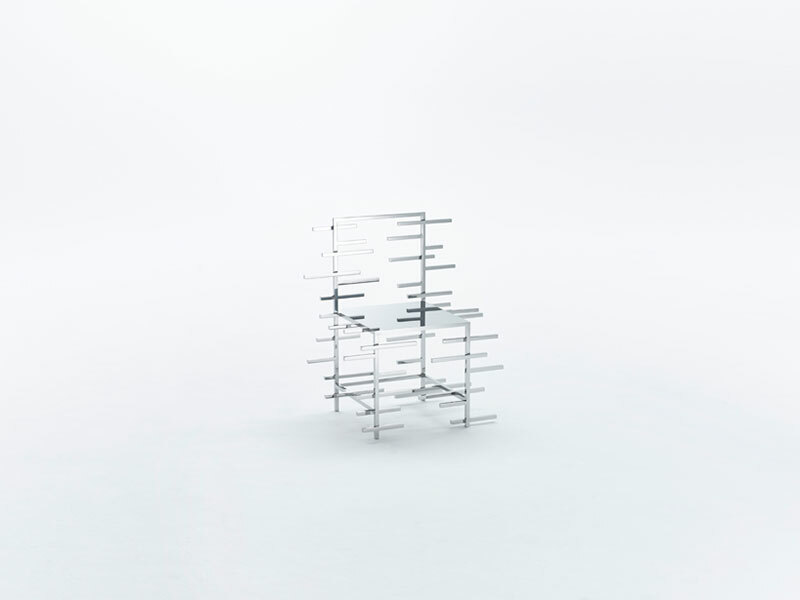 The chairs have a mirror finish and physical aspects such as color or texture are intentionally avoided to project a sense of abstraction and generate spatial layers that reflects the world of manga. 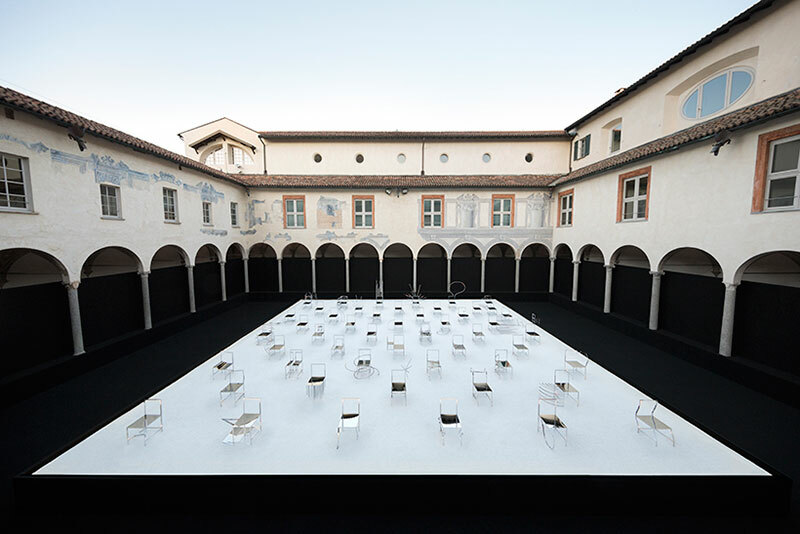 An installation consisting of 50 manga chairs designed by Nendo for Friedman Benda during the 2016 Milan Design Fair.